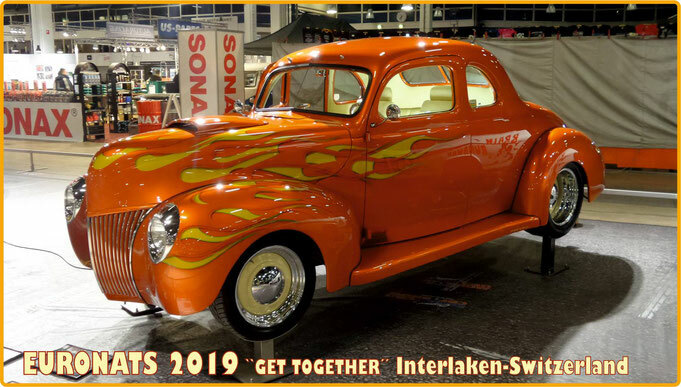 Dave will bring his stunning '38 Chevy Sport Coupe to Switzerland. The car has a lot of fine upgrades, but have a look at it yourself at the Euronats! 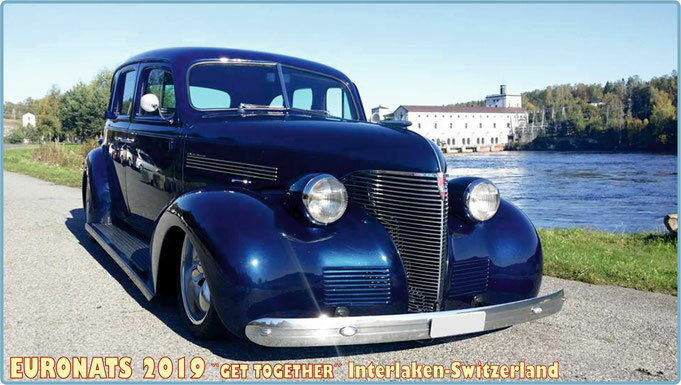 Gerhard's perfectly prepared '39 Ford Deluxe Coupe will be coming from Austria and roll to Switzerland on its own wheels. Mick was already present at the Euronats in Thun in 2008. Then with his '32 Ford Coupe. 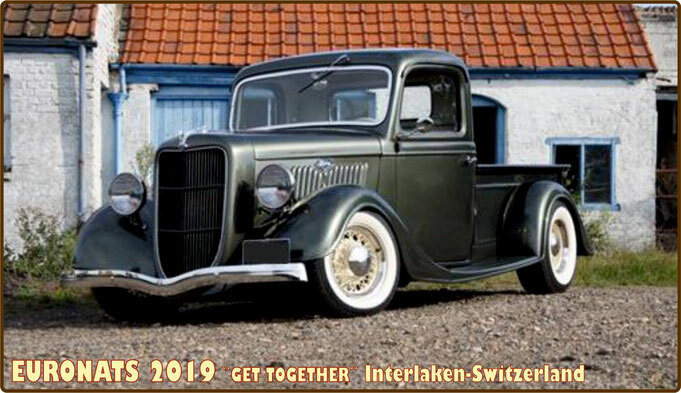 This time we will see him travelling from England with a wonderful '36 Ford Pick-up. 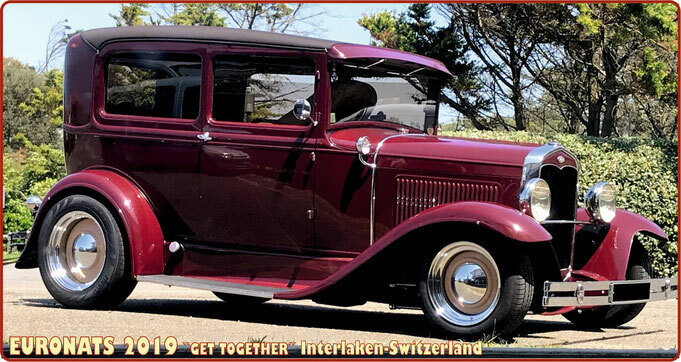 Welcome Peter, with his great 1931 all steel 5 window coupe. He has owned the Rod for more than 25 years. 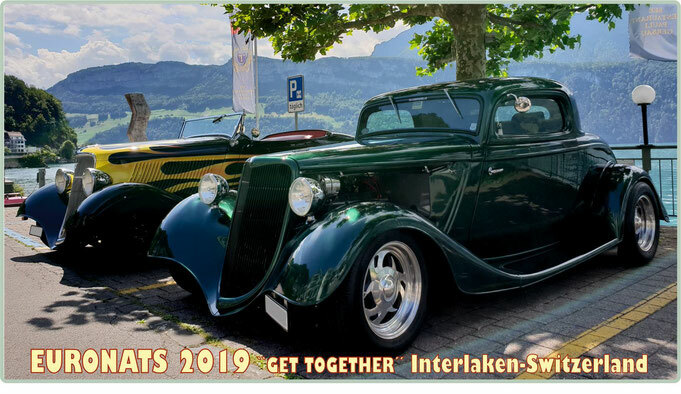 Hege and Tor bring their fantastic 39er Chevy Master to Interlaken. 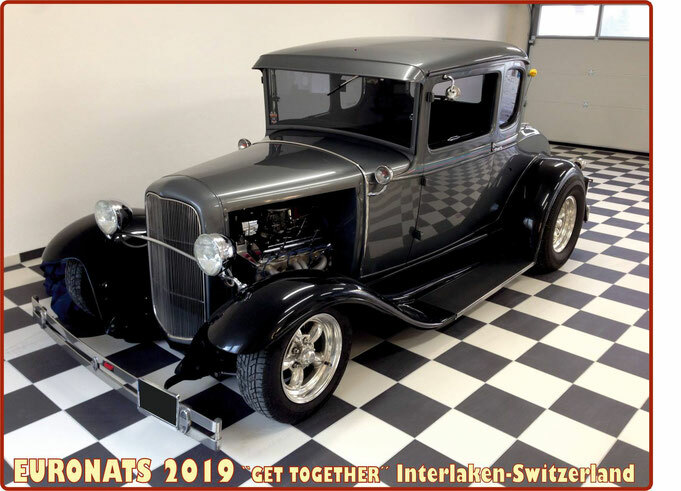 Powered by a 305 small block and a TH700R4 transmission, it will be a pleasant journey from Norway to Switzerland.